So you’re thinking about getting pregnant (or you already are). Did you know that what you eat (as well as your lifestyle habits) can actually PROGRAM your baby for good health? Let’s explore the benefits of eating well for your baby—not only now, but in the future. Thinking about Trying to Conceive? Nutrition Makes a REALLY Big Difference! Imagine if you could “program” your baby for future good health. You’d buy that “app”, no matter what the cost, because a lifetime of good health is invaluable. You have the power to do that right now with your food and lifestyle choices. Developmental Programming (also called prenatal programming) is any negative condition that occurs during a sensitive or critical period of development, which has lasting or lifelong impact on health or function. To put this into simple terms, this means the foundation for your baby’s health is like modeling clay and you (and your habits) are the sculptors. Research confirms that a baby’s long-term health is sensitive to the fetal environment during pregnancy—especially the nutrition environment. The fetal environment includes everything a baby is exposed to—including what a mom breathes, the stress she experiences as well as temperatures she is exposed to and medications, drugs or herbs she might take. The “nutrition environment” includes your pre-pregnancy weight, weight gain, everything you eat and drink and blood sugar levels, which may affect your baby’s risk of future disease including heart disease, stroke, high blood pressure and type 2 diabetes. Both an excessive and an inadequate nutrition environment could “program” a baby for some major health problems later in life. Being overweight, gaining too much weight, and having gestational diabetes or high blood sugar or eating an “excessive” diet, can increase your risk of pregnancy complications and of having a baby that is large for gestational age. 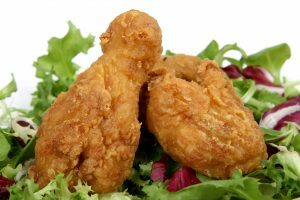 You may eat an “excessive diet” if you often feel that you eat too much, you regularly drink sugar-sweetened drinks and other high-sugar foods, regularly eat fried and snack foods, and say things like “I know I should eat better.” An excessive diet can lead to nutrient deficiencies and weight gain. This can affect your ability to get pregnant, as well as you and your baby’s health, now and later. Research shows that women who are overweight are three to seven times more likely to have gestational diabetes, two to four times more likely to have preeclampsia and are also more likely to have an infant with a lower Apgar score (a score of your baby’s physical condition at birth). The risk increases with degree of overweight. Women who are overweight also are at greater risk of having a baby born before 34 weeks, and are more likely to have a C-section. There is also evidence that being overweight can change the action of certain genes, which may increase the risk of heart birth defects. Being overweight is also one cause of infertility. Being overweight during pregnancy increases the risk that your baby will be overweight or have metabolic syndrome later in life. Metabolic syndrome is a combination of risk factors: high blood sugar, abnormal cholesterol levels, high blood pressure and a large waist size, which can lead to heart disease and diabetes. Fill up on fruits and veggies! If you are overweight, and especially if you are 20 percent or more over your ideal weight, lose weight before you conceive. A small loss can make a difference! Take a pledge to start eating healthier now. Consider the other benefits of changing your diet now—you’ll look better, feel better and possibly get pregnant sooner. If you don’t already exercise, start moving! Begin with a daily 10 to 15 minute walk and every week increase the amount of time. Or join the gym or jump on an exercise bike—just start somewhere! Consider getting at least 30 minutes of moderately vigorous exercise 5 days a week, as recommended by the Physical Activity Guidelines for Americans. Be more Active! Photo courtesy of NIH. Spend less time being inactive. This may be just as important as trying to exercise more. Sitting at a desk for hours at a time? Take a five-minute break every hour to walk and stretch a bit. Hours in front of the TV can be turned into walking time—even marching your legs while sitting can help improve circulation, improve muscle tone and burn calories. Seek the help of a registered dietitian—to find one, go to eatright.org. Also, see advice found in the “Lose that Baby Fat” section of Eating Expectantly. Not getting all the nutrients your body needs over time, starting your pregnancy underweight and not gaining enough weight during pregnancy are all considered an “inadequate” nutrition environment. This type of environment can lead to infertility issues, pregnancy problems and health issues later in life for your baby. No matter what your weight is, you may be undernourished. 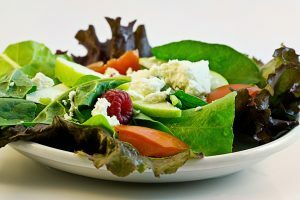 This may describe you if you eat lots of processed foods with few fruits, vegetables, whole grains or other whole foods. Your diet may contain plenty of calories—just not enough nutrients. You may also be undernourished if you have inadequate amounts of specific nutrients due to a chronic medical condition, or if you take regularly certain medications. Being underweight or not gaining enough weight increases your chances of having a baby that is too small. Interestingly enough, having a baby that is small for gestational age (SGA) can have some of the same health issues as infants who are too big at birth. It is thought that the fetus makes physical, hormonal and developmental adjustments to a limited supply of nutrients, which can increase the risk of being overweight, having metabolic syndrome, kidney disease, heart disease and diabetes. Rapid catch-up growth during the first few years of life is thought to add to the risk of being overweight. 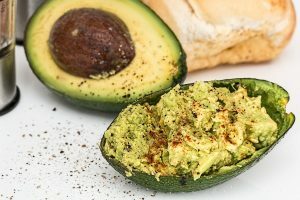 Avocado is a super food for moms-to-be and momma-wanna-bes! 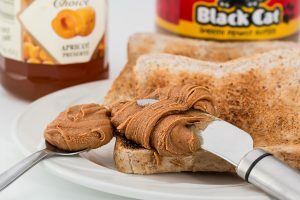 Peanut butter is a great way to start the day! If you are underweight, try to gain weight to get closer to your ideal weight before trying to conceive. 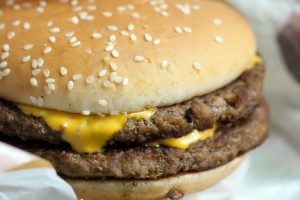 As easy is this sounds for the “rest” of us—people who are underweight often find it more difficult to gain weight than others do to lose it. 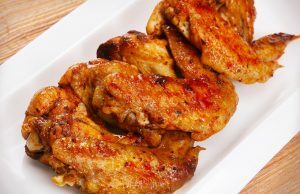 Find info about how to tip the energy balance toward weight gain in Eating Expectantly. If you currently have an eating disorder or a history of one, try to resolve any issues about weight and body image before pregnancy. 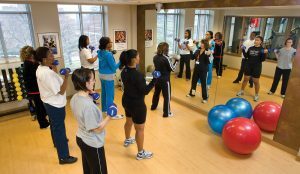 While exercise is recommended and good for health, if you are burning more calories in exercise than you can eat, consider reducing exercise time. Focus on foods that are both nutrient rich and higher in calories. 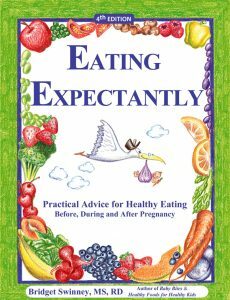 For all the info you need about what to eat before, during and after pregnancy, see my book Eating Expectantly; this is modified from a section in Chapter 1.